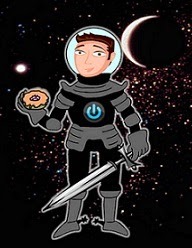 David Powers King: Two New Fantasy Reads: Twisted and Shadows of Valor, Interstellar, and A Possible Change Of Pace! 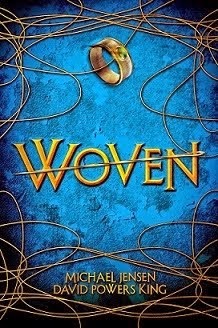 Two New Fantasy Reads: Twisted and Shadows of Valor, Interstellar, and A Possible Change Of Pace! Hey, guys! I know it's been a week since my last update, but I had to bow out to take care of some ear-clogging, throat-soreing nastiness. The good news is, I got better! And now that I'm back in half-swing, I've got two new books that need to be shouted from the bridge! 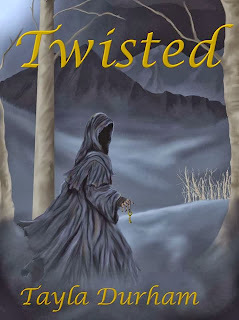 Up first is Tayla Durham's debut "wraith" novel, Twisted! Locked up in the Nansterdome crown castle prison, Aster the Terrible has little to look forward to, except his execution. All this changes when a wraith steals and important relic from the castle. Aster is pulled out of prison to steal for the king to combat the wraith. Things get twisted when Aster and his newfound rival, Allie Taylor learn that the wraith of isn't the enemy, but the one protecting them from the actual threat. 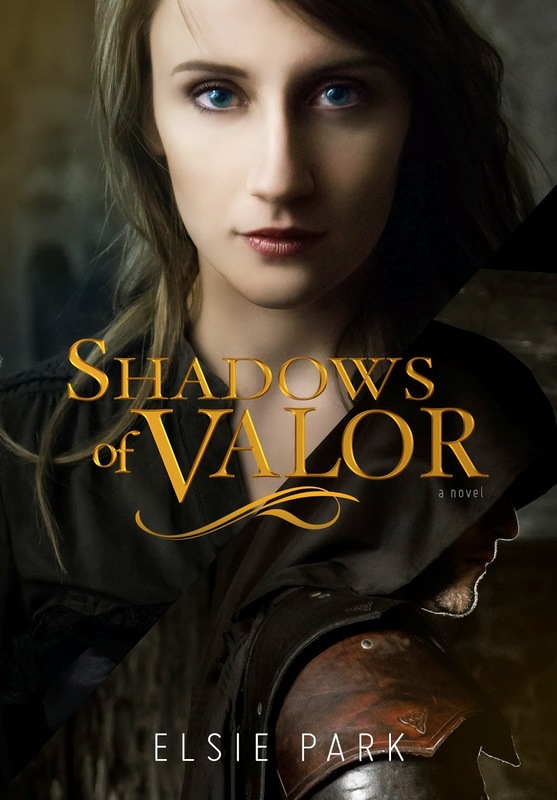 And now I'm pleased to present Shadows of Valor by Elsie Park! On the surface, Graywall is content and booming. Lord Shaufton, who presides over the city, is a fine ruler. The poor are well-cared for, the area is popular, and morale is high—but within Graywall’s roots, something dark is stirring. This darkness threatens to overpower the once-peaceful town, until a mysterious figure appears: The Shadow. As much a figure of fear to the unruly as legend to the innocent, The Shadow is an enforcer of justice and aid to the King. Due to an outrageous export tax set by King Edward, smuggling has tainted the kingdom, so The Shadow is sent to hunt the smugglers down. Contrary to legend, The Shadow is simply a man known as Sir Calan who, although talented and just, struggles to keep his dark thoughts of revenge from becoming ruthless action. Due to sheer coincidence, The Shadow learns of a deadly plot against Lord Shaufton on a journey to Graywall. Now, he must enter a pseudo courtship with Lord Shaufton’s daughter under his original guise of Sir Calan, all while old emotions are stirred by the lovely Elsbeth, Lord Shaufton’s niece. Elsbeth, it seems, is the only woman who can heal his troubled soul, but she has a story of her own. What transpires is a glorious tale full of deceit, greed, inner struggles, betrayal, and most of all—love. Congratulations on your releases! Count them on my to-read list! We've had our first look at Interstellar over the weekend, which if you haven't heard is the latest film by Christopher (Batman) Nolan. But this time, it's about space travel, and Matthew McConaughey is making his return to his first thought-provoking sci-fi movie since Contact. Needless to say, I'm excited, and the dialogue in this trailer really resonated with how I've been feeling lately. Check it out! 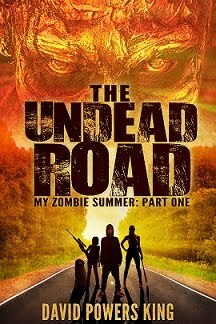 Update: edits on Undead are going smoothly, but I think the biggest update I have to share with you this week is that this blog may have to undergo a change of pace. Lately, my time has never been in more demand, and that means I need to pull back and reflect on where and how to apply my time. This also means I may have to cut back on the number of posts I publish. 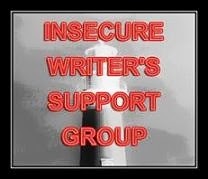 This doesn't mean I'm leaving this blog - far from it - but if I am to complete my writing goals, provide for my family and give them the attention they deserve, I have to cut back. I haven't figured it out yet, so my posts will be random until I do. I thank my lucky stars each and every day for the wonderful friends I have in the Blogosphere and for my many readers who continue to visit. Your hand in my journey has made a significant difference. I sincerely thank you, everyone, for your continual support. How goes the middle of your December? Did you get buried in snow like I did? What books should I read, in case I get snowed in? I'm David, and I saw a dragon (and a small dude with big feet)! Saw the trailer last Friday when I went to The Hobbit. So excited! Nolan can do no wrong. I've pulled back to pretty much just Mondays for a while so I can work on my next book. Once a week, except for IWSG days, I can handle. I'll have to watch that trailer at some point. We got our first real snow on Saturday and now I'm looking forward to spring. I loved seeing that trailer before Smaug. So cool. And Edge of Tomorrow as well. Shoot me, but I'm a sucker for any Tom Cruise sci fi. How did you like the Hobbit? It sounds like a lot of us are cutting back next year because we're getting too busy. No problem that you're doing it too. We understand. Shadows of Valor has so much to read, romance, suspense, dark past, betrayal...I'm all a flutter. With excitement for the darkness! OK I'll act normal now. 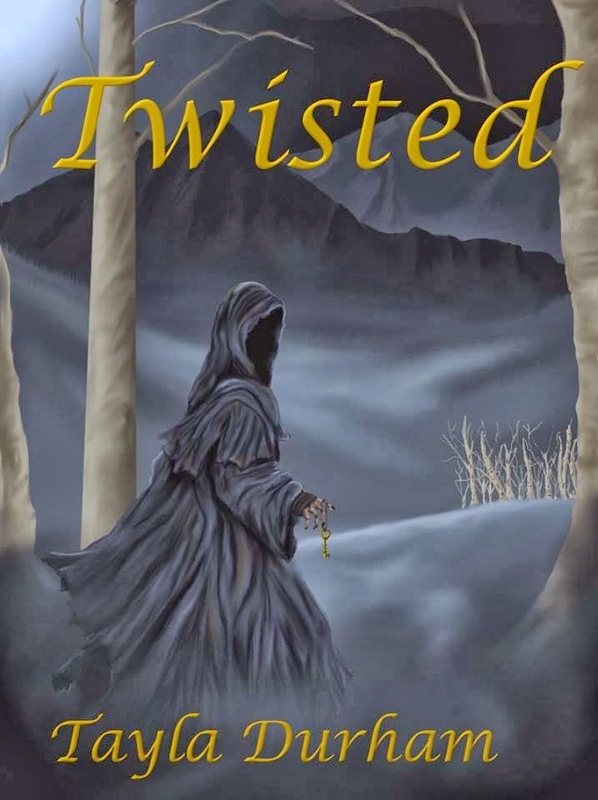 Twisted has quite a twist of fate for Aster. Good luck to you sir. I have to give you a reading list later. Glad edits are going well and you'll figure out what's right for your blog David. I believe in you. Happy Holidays! Happy holidays, good luck on finding time. We don't have snow, but the weather is still crazy. We've been alternating between 40 degrees and 80 degrees. If only it could make up its mind. Thanks for sharing the news. We only got snowed in for a little, about 6 inches worth. Blogging does demand time. I can't get behind anything of Nolan's. The last worthwhile movie he made was Batman Begins. Dark Knight was almost worthwhile, but it was so boring on a second viewing that I could barely stay awake through it. We have dragons here all the time. Well, none lately. It's been too cold, I think. I'm a sucker for a good Time Travel movie. Not sure how I feel about this one. But that new Cruise movie looks kinda like Groundhog Dad with cool mecha suits. Cutting back and reassessing strategies is very wise thing to do. Not that I did it myself too but how can we have time for important stuff if we don't take time, right? ;) May your decisions be wise, my friend. I'm glad you got better. What would we do without you? Don't be afraid to cut back on your blog. It's always better for that to suffer rather than your writing. I think everyone is having some difficulty juggling the blog, writing, and life. Well, except Alex. He has clones. Everyone else... tough times for sure. So, do what you must in order for your life to run. Thanks for sharing the Interstellar Trailer. Looks good! I posted daily for so many years and have no idea how I did it. Now two posts a week is good. I start out visiting a few favorites and then spend the rest of the time visiting those who comment. It's the best I can do.